I think my child has head lice. What should I do? Answer: Dr. Pearlman cannot tell you specifically what to do without examining your child in his office. However, there is a general approach you can follow. As with all medical conditions, you need an accurate diagnosis and then an effective treatment. 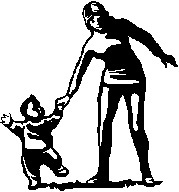 To evaluate the child you may wish to use a Lice ID Test (LIT). We find this to be the best way of proving the presence or absence of a lice problem. Then in most cases, we recommend the Nuvo® method for treatment. Should I do a LIT for other family members? There may be others in the family who are infested but show no symptoms. You may elect to screen everyone in the family now with a LIT, or you may choose to wait until signs or symptoms of head lice appear. What’s wrong with just looking at my child’s scalp to see if lice or nits are present? The presence of nits (louse eggs) does not prove active infestation. These may be inactive, dead nits from a prior infestation. Or the white specks may not even be nits at all. The only way to prove active infestation is to find actual crawling lice. Finding crawling-phase head lice by looking at the scalp is not easy. Dr. R.J. Roberts, a noted British head lice researcher writes “visual inspection of the hair and scalp is widely practiced, but this approach may miss three quarters of infestations.”A better method is the Lice Identification Test (see above). In Dr. Pearlman’s experience,a properly performed LIT is more than 99% reliable in proving or disproving the presence of a lice infestation. Are kids ever wrongly diagnosed as having head lice? Could the parent on “lice patrol,” the nurse, or even the doctor be wrong? Unfortunately there are several situations which are mistakenly diagnosed as head lice even though no head lice are present. The child has so-called fake or pseudo nits rather than real nits. There are two types of commonly found fake or pseudo nits. In one type, the child has dandruff scales which stick together in lumps that can resemble real nits. In the other type, the child has an abnormality in which the adjacent normal skin adheres to the hair shaft, creating a white lump that mimics the appearance of a nit. The child has real nits but they are from a prior infestation. The only way to diagnose an active problem is to find crawling lice. The best way to find lice is to do an LIT. The child has an itchy scalp from dandruff and the scaling is mistaken for lice or nits. The absence of real nits and especially a negative LIT clarifies this situation. What is the Nuvo Method treatment for head lice? Answer: The Nuvo method is the nontoxic treatment for head lice described in Dr. Dale Pearlman’s study published in the September 2004 issue of the journal Pediatrics. In this study, the Nuvo method was 96% effective and involved only minimal household cleanup. Briefly, you apply the Cetaphil Cleanser to the hair and scalp, and use a comb to distribute the lotion evenly and to remove excess lotion. You then use a hair drier to dry the lotion in place, which “shrink wraps” the lice, cutting off their source of oxygen. You leave the dried lotion on the hair for at least eight hours. It can then be washed out with a regular shampoo. For detailed instructions on how to use the Nuvo method with Cetaphil Cleanser, go to our Instructions page. How do I get Nuvo lotion? Answer: The lotion Dr. Dale Pearlman used in his head lice study was Cetaphil Gentle Skin Cleanser, a widely sold, soap-less cleanser for people with sensitive skin. It is sold in pharmacies in the U.S. and abroad. See photo below. Is Cetaphil Cleanser an FDA approved remedy for head lice? Answer: The Nuvo method using Cetaphil Cleanser for treating and diagnosing head lice has not been evaluated or approved by the U.S. Food and Drug Administration. Cetaphil® is a trademark of Galderma Laboratories, L.P. United States, which has not reviewed or endorsed the material on this web site. However, to our knowledge, the Nuvo Method using Cetaphil Cleanser is the most successful non-toxic-based therapy to have been proven to work in a peer-reviewed, published, scientific study. I bought Cetaphil Moisturizer instead. Can I use it for the Nuvo method? Answer: Our research only studied the Cetaphil Gentle Skin Cleanser, so we do not know about the usefulness of the moisturizing lotion. We advise people who want to try the Nuvo method to only use the cleanser. Why do you leave it on the hair for eight hours? Answer: Lice can hold their breath for a very long time. A louse needs to be submerged or coated with lotion for at least eight hours to die. That is why other wet suffocation treatments like olive oil or mayonnaise are unreliable. The wet treatment can be wiped off too soon if the child lies down on a pillow, changes a shirt, or just rubs the hair. The child cannot wipe off the dried-on lotion. With the Nuvo method, patients usually leave the dried lotion in their hair until the next day and shampoo it out at bath time with the child’s usual shampoo. The dried lotion is invisible in the hair, so the children are not embarrassed to have it in their hair during the day. Does the Nuvo method kill nits (louse eggs)? Answer: No, the Nuvo method kills only crawling lice. If the Nuvo method does not kill the nits, how can it work? Answer: The Nuvo method cures head lice infestations by disrupting the life cycle of the lice. The lice are all killed before they can lay any more eggs. The Nuvo method is used in three applications. The first application kills the crawling lice. The second application, one week later, kills the lice that have hatched in the interim. Because it takes a louse about 10 days to become sexually mature, the newly hatched lice cannot lay more eggs. A third application kills any remaining lice that might have hatched after the second application. You’re saying that newly hatched lice may still be on my child’s head during the treatment. Does that mean my child will be contagious? Answer: Although baby lice or instars will hatch on your child’s head, these instars do not migrate on their own to a new host. Only older “teenage” or adult head lice migrate. The serial applications of Cetaphil will kill them before they are mature enough to migrate. It is still a good precaution not to let your child share combs that may transfer instars. Answer: The families in the research study did only minimal household cleanup. They laundered their clothes, and put their bedding in the drier for 10 minutes. In addition they sanitized their combs and hair brushes by running them through the dishwasher. Patients in the study had a 96% cure rate using this cleanup regimen. I don’t see how your recommendations for minimal household cleanup could be reasonable. Why don’t we need to clean up carpets and couches and chairs? Couldn’t nits fall off our child onto these surfaces, and hatch there? Then couldn’t the louse climb onto someone else? What about children’s stuffed, plush toys. Couldn’t a louse lay eggs there that would hatch and infect other people? Answer: A louse egg contains the embryo of a living creature. It requires specific temperature and humidity requirements in order to develop. These conditions are found on the human scalp but not on the floor, a chair, or a couch. So the nit will not hatch when off the human head. Thus we are not concerned with nits that fall on these surfaces. A good way to think about lice eggs is to compare them to chicken eggs. The egg must either be under the hen or in a special incubator in order to hatch. It will not hatch on the floor. There is no support for the standard recommendation to vacuum floors as part of curing head lice. There is no report in the research literature of lice being found on the carpets of the home or school. An Australian researcher, Rick Speare, evaluated the floors of 118 schools where 20% of the students had head lice. There were no lice found on the carpets. The concern that a louse would lay eggs on a plush toy is not valid. Female lice lay eggs on human hairs as close as possible to the scalp as possible for good reasons. First such a location assures the conditions described above to allow the eggs to develop. Second, such proximity to the scalp means the newly hatched baby lice will easily find a place for its first meal nearby. A plush toy’s “hairs” do not offer either of the above required conditions. While one often hears about the need to remove all the stuffed, plush toys from a child’s environment, actually there are no published reports showing lice eggs on plush toys. Do head lice migrate to household dogs and cats? If so, do they need to be treated as well? Answer: Head lice only live on people. There is no need to evaluate or treat dogs, cats or other pets. What are the advantages of the Nuvo method of treatment? Why chose it over the other treatments? Answer: There is now major problem in treating head lice because they have become resistant to the usual treatments. This means that permethrin, pyrethrin, malathion, and other chemical pediculicides you buy in the pharmacy may fail to cure your child. The Nuvo method is a highly reliable head lice treatment. In our research, 96% of patients were cured by a three-week course of treatment. It is effective even in cases resistant to those standard treatments. More than 70% of patients in Dr. Pearlman’s original research report had been resistant to such usual treatments. Unlike conventional treatments, Cetaphil cleanser, the lotion used in the Nuvo method, contains no neurotoxins. The Nuvo method is simple. No nit removal or extensive household cleanup are required. The Nuvo method produced long term cure. 94% of patients cured with the Nuvo method were still lice-free more than 6 months after treatment. You say the treatment is 96% effective. What does that mean? Answer: In Dr. Pearlman’s research study, 96% of patients had no more head lice after three treatments. The remaining 4% of patients were cured by one more application of lotion. When the usual products fail, why is it that Nuvo treatment still works? Answer: The usual products, such as Nix® and Rid®, are chemical neurotoxins which rely on attacking a specific biochemical target in the louse. Over time, many lice have mutated so that this target has changed and is no longer vulnerable to the chemical. Nuvo Method treatment does not rely on such a specific target. It works by coating the entire louse with a layer of dried on lotion which plugs up their breathing holes. They can’t breathe so they die. Lice can’t mutate their way out of the need to breathe. In what circumstances is the Nuvo method not a good choice for a patient? Answer: If the patient or the parent are not able to carry out the steps of treatment correctly, then Nuvo is not a good choice. Sometimes parents are unwilling to devote the time to properly apply the lotion, and then comb, and dry the patient’s hair. Sometimes the child is not willing or able to allow the treatment. The child might be too fidgety, too impatient, or not able to be diverted with videos or reading or television. I live in Germany. 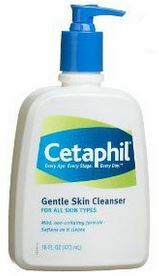 Where can I find Cetaphil Cleanser? I used the Nuvo method for three consecutive weeks and my child still has head lice. What gives? Answer: Go through the following checklist. 1) Did your child ever actually have head lice? Read the FAQs above on diagnosis and evaluate the accuracy of the diagnosis. 2) Was a Lice Identification Test (LIT) done before and after treatment that still shows lice present? See the FAQs above about Lice Identification Tests and proper evaluation. 3) If your child had an LIT showing active infestation before treatment, and after treatment also had an LIT showing active infestation, we must ask if the treatment was done correctly. While the treatment is relatively easy to do, you must follow the directions carefully. Read through our common errors list, and make sure that you are not making one of these common mistakes. You must completely dry the scalp so that it is totally dry. The lotion works by drying onto the louse and plugging up the breathing holes. If you leave it partly wet then the lotion can be accidentally rubbed off when your child changes his shirt, lies down on his pillow, rubs his hair, or lies on the carpet or couch. By thoroughly drying the lotion in the scalp, the lotion adheres to the lice and kills them. You must use the treatment in three applications done at one-week intervals. The dried lotion kills lice and disrupts their life cycle. If you wait too long for the next application, then baby lice can grow into adults and lay eggs and continue on the cycle. If you did the treatment incorrectly, then you must start over again from the beginning. Where can I find out more about head lice? Answer: A great source of information about head lice is this web site by Dr. Rick Speare. How do I get more information about the Nuvo Method? We regret that we cannot answer individual e-mail questions from parents. However, if you feel at your question has not been answered on our web site, please send an e-mail to Mail@Nuvoforheadlice.com. From time to time, we will be posting the answers to additional FAQs.